Gerald was passionate about Australian orchids. He became active in the Victorian Orchid Club in the early 1950's, serving as its president from 1959-62. It was a time of major expansion, major orchid displays and charity projects, and Gerald assisted with the formation of many new suburban and country orchid societies. In 1960, he assisted Sir John Hall Best to form the Australian Orchid Council that was established to co-ordinate activities of orchid societies around Australia, and to give orchids in Australia a voice on the world scene. Gerald was its first vice president, and its second president from 1964-1969. During that time, he co-ordinated the arrangements for the 6th World Orchid Conference in Sydney in 1969. Gerald was a foundation member and a life member of ANOS Vic Group. A talented photographer, he spent many hours at meetings photographing the orchids benched to compile a photographic record of all Australian species. He was the co-founder, with Hermon Slade in 1976, of the Australian Orchid Foundation. Quoting the objects of the Foundation – to collect, preserve, protect, promote, propagate, nurture and cultivate orchids of all kinds and, in particular, orchids native to Australia and its territories, and more particularly rare orchids in danger of extinction. Other objectives include financing research into and the study of orchids and educating the public and young people in particular. Working tirelessly, Gerald was the driving force in the Foundation for over 30 years. Australian orchids have benefited hugely from the support of the AOF. The Foundation, his legacy, will continue this work. Gerald was made a Member of the Order of Australia in 1993 for his services to horticulture, particularly in the culture of orchids. In 2005, he was awarded the Orchid Society of South East Asia Fellowship at the World Orchid Conference in Dijon, France. He was a foundation member and patron of the Australian Orchid Council, and patron and life member of many orchid societies in Australasia. 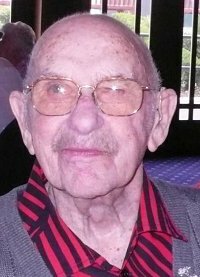 Gerald McCraith, that grand old gentleman of orchids in Australia, died on the 26th of May 2009, just three months after his 100th birthday. The contribution that Gerald has made to orchids in Australia has been exceeded by none. The Gerald McCraith Student Native Orchid Research Prize is an initiative created by ANOS Victoria to honour Gerald's memory and his passion for orchids. It has been set up to encourage tertiary botany students to specialise in Australian native orchid research thereby furthering our knowledge for orchid conservation. This prize has been established from a bequest from Gerald McCraith's estate and ANOS Victoria conservation funds. This prize aims to promote academic research into Australian native orchids and acknowledge excellence in student orchid research. The annual prize of $1000 will be awarded to a student studying at a tertiary education institution in Victoria, Australia that completed a research qualification at Honours, Masters or Doctorate level in the previous year. The prize winner shall be subjectively determined by a sub-committee of the Australasian Native Orchid Society (Victorian Group) Inc. from summary reports of the research submitted by students along with their application. The only requirement on behalf of the winning candidate is to present the Gerald McCraith Lecture on the topic of their research to the members of ANOS Victoria, at a time and place agreeable to both parties. Application forms for the ANOS Victoria Gerald McCraith Student Native Orchid Research Prize are available and should be submitted by 31st January for research completed in the previous year. Please make sure that all eligible applicants (anyone who submits an Honours, M.Sc. or Ph.D thesis during the previous calender year on the topic of Australian native orchids) are made aware of this prize. Applications close on 31st January for research completed in the previous calender year. For further information please contact the Gerald McCraith Award Sub-Committee . We are pleased to announce that a five person sub-committee selected Shalika Mehra as the recipient of the 2014 prize. Shalika has recently submitted her Ph.D. thesis from RMIT University entitled: "Nutritional and Genetic Diversity in Orchid Mycorrhizal Fungi From Caladenia Species". Congratulations to Shalika! The thesis examined the complex relationship surrounding the exchange of organic and inorganic nutrients between mycorrhizal fungi and their orchid host. In particular, she explored the possible sources of carbon, nitrogen and phosphorus nutrition in the genus Caladenia through their mycorrhizal fungii. Shalika will be presenting her findings at the Gerald McCraith Lecture and will be awarded her prize at our monthly meeting on 1st May 2015. 2011 Freya Thomas "Batesian Mimicry Breakdown in Thelymitra"
2014 Shalika Mehra "Nutritional and Genetic Diversity in Orchid Mycorrhizal Fungi From Caladenia Species"